? ?Characteristics of the Simple and efficient QR/Barcode Reader?? ?2?Simple and easy to handle!
? ?Here’s some descriptions of our app??
? ?barcode…open up a shopping website search. ?Vibration: You can choose from setting whether to have a vibration sounds after scanning a code or not. Our company, Mediaseek,inc was founded back in 2000 and has won the BREW Developer Awards in 2005 as the most innovative use of technology. 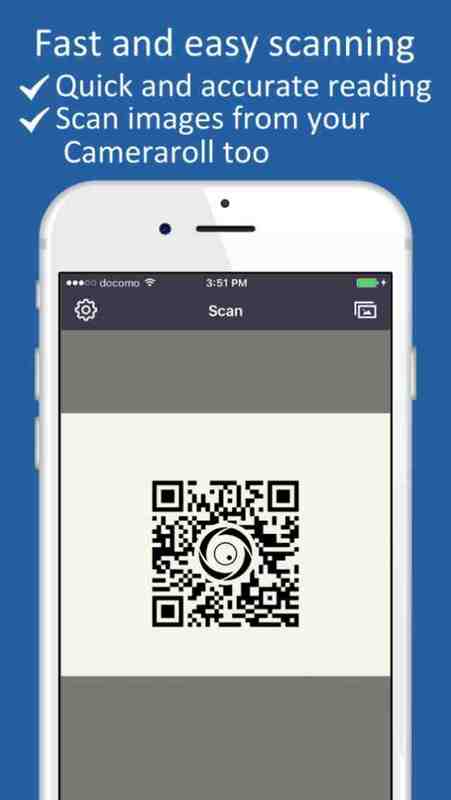 Our barcode reading application, ICONIT we offer have achieved more than 20 million smart phone users around the world. We are trying our best to make a great and useful QR code reading app for not only in Japan but for many people around the world.